Port Moresby is gearing up to host its biggest international event - the APEC Leaders' Summit 2018. It expects both Chinese leader Xi Jinping and US president Donald Trump to be among the thousands of delegates. The filth that buai (betelnut) is causing will be a visible sight our visitors will not miss. Irresponsible citizens, high on the drug, continue to spit and dispose of the husk in a manner in which only people without a brain would operate. Betelnut stains can be seen on footpaths, walls of shopping centres, car parks, roads and on the very own teeth of chewers themselves. With the rising prices of food and commodities in the country, it is not unusual for local folks to chew betelnut during the day to curtail hunger and then eat one big dinner meal at home to save money. Aside from controlling hunger, local folks also feel a sense of euphoria throughout the day after they chew. In addition, most folks will say that betelnut is PNG’s version of coffee in the morning- an instant eye-opener to start the work day. Some chew one betel nut at a time intermittently throughout the day, while some chew more than one at a time. On average, locals will chew between eight to 10 betel nuts in one day. Papua New Guineans rely on the sale of betelnut for their livelihoods. A native cash crop, betel nut is referred to as "green gold". Markets often have an area dedicated solely to betel nut vendors. Prices for one betel nut and mustard stick vary between 50t to K1 dependent upon the location, season and recent growing conditions. The habit, which is virtually a national pastime, involves chewing the small palm tree nut, which is mixed with lime powder and mustard, before spitting out red-tinged spittle to the floor. The mixture produces a mild stimulant likened to the rush from cigarettes. 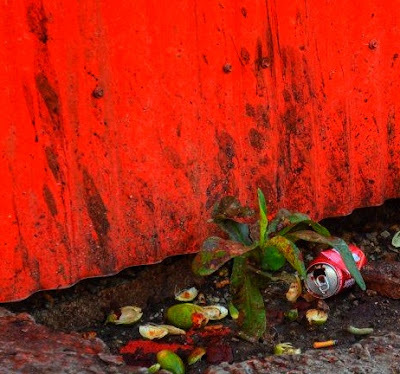 The streets of the capital, Port Moresby, are littered with the red spills and husks. The spitting of pathogenic saliva increases the spread of disease. In a country with one of the highest infection rates of tuberculosis in the world, this habit poses huge contamination risks. Reuben Aopi was born in Daru Island on Oct 8, 1988. His father Pala Aopi was a painter, and his mother Sibaio was a retired nurse. Both have gone to be with our Lord. BEIJING, May 31 (Xinhua) -- China Railway International Group (CRIG) has recently signed an agreement with Papua New Guinea (PNG)’s authorities about the land-use right transfer to support construction of an agricultural industrial park under the Belt and Road Initiative. 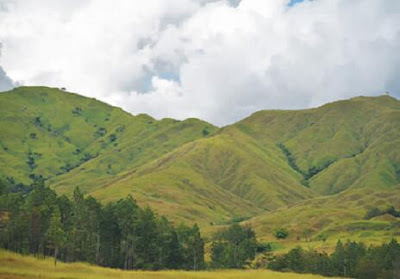 Under the agreement, the Chinese company will own the use right of the lands in the Eastern Highlands Province and the Western Highlands Province in PNG for 99 years. The lands cover an area of more than 6,000 mu (15 mu equal one hectare). The lands are located in the core area of the China-PNG agriculture industrial park under the Belt and Road Initiative, co-built by China Railway Group (CRG), parent company of CRIG, Fujian Agriculture and Forestry University, and provinces of PNG. Preparations for the upcoming World Environment Day on June 5 are underway by the National Capital District Commissions and the office of NCD Governor. NCD Governor Powes Parkop has called on city residents to come out of their comfort zones this Saturday to clean the city as part of a commitment to World Environment Day and the city of Port Moresby. As part of this commitment, the employees of NCDC will be doing a major clean up from Boroko to Gordons on Saturday. NCDC is committed to transforming Port Moresby to a more liveable, peaceful, and healthy environment as part of a global movement to protect the earth’s natural environments. Governor Parkop also made a call to the National Government to declare June 5 a National Day of Action to Protect the Environment – making it a public holiday where people can do public clean-ups, beautify the environment and plant trees. This year World Environment Day falls on June 5 which is next Tuesday, so NCDC has opted to celebrate the day early with Saturday’s cleanathon from Boroko to Gordons. This is also part of NCDC’s strong commitment to the environment. Earlier this month, NCDC committed K150,000 to support the government’s ban on plastic bags and other plastic products through the Ministry of Environment and Conservation under its cleaner city campaign. With the theme for this year’s World Environment Day being ‘Beating Plastic Pollution’ it is a clear statement on how committed NCDC is towards protecting and saving our environment. City Manager Bernard Kipit said NCDC is right behind the concept and is excited to be doing the major cleanathon this Saturday to mark the special day. “We have to keep reminding ourselves as city residents to do all we can in keeping our city clean, healthy and safe and beautiful,’ Kipit said. Governor Parkop appealed to city residents to join him and NCDC by cleaning their suburbs, villages and settlements - to make them clean and beautiful places to live; and to show our commitment to protect our natural God-given environment. This Sunday’s Walk for Life will also be themed to promote World Environment Day. Walk for Life commences each week at 5.30am at Murray Barracks and all Port Moresby residents and visitors are invited to attend, it is a great way to promote a healthy lifestyle at the same time supporting an important cause. An open invitation has been extended to staff and the Board of National Forestry Authority, CEPA, Department of Mining and Energy to also join the cleanathon on June 2 and Walk For Life on June 3 - as these are State agencies who can multiply NCDC’s efforts to protect our national environment. Other Government Departments and agencies, private sector, churches, NGOs and all other stakeholders are also invited to join NCDC in the noble cause of protecting and saving our natural environment. The National Executive Council has endorsed the appointments of Papua New Guinea’s heads of missions to China and India respectively. Missions are retired judge, Don Sawong, as PNG’s new ambassador to China and Secretary to the Department of Communication and Information, Paulias Korni, as high commissioner to India. “NEC has endorsed the appointment of Mr Sawong and Mr Korni as the new PNG heads of mission to the Republic of China and India respectively. “Therefore, NEC has further advised the Head of State to appoint Mr Sawong as the ambassador to the People’s Republic of China for a period of four years effective on and from the date of the publication of the instrument in the National Gazette. “Cabinet has also appointed Mr Korni as the high commissioner to India for a period of four years effective on and from the date of.publication of the instrument in the National Gazette. of Foreign Affairs for execution by the Head of State." O'Neill said NEC had also directed the Minister for Public Service to facilitate an acting appointment of the Secretary for the Department of Communication and Information in consultation with the Minister for Communication Information Technology and Energy. BANGKOK, 30th May 2018 (NNT) – Thailand’s Department of Fisheries has forged cooperation with Papua New Guinea on fisheries development, with workshops and research projects to be undertaken jointly. 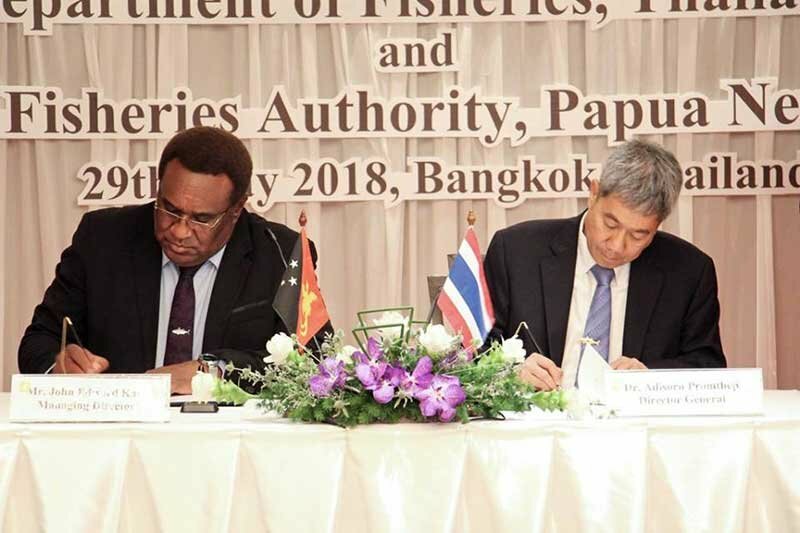 Director-General of the Fisheries Department Adisorn Promthep was joined by Mr John Edward Kasu, Managing Director of the National Fisheries Authority of Papua New Guinea, during a ceremony to sign a memorandum of understanding on fisheries cooperation between the two agencies. Under the agreement, a joint working group will be set up to develop both countries’ management of fisheries in line with their governments’ fisheries reform policies. There will be exchanges of fisheries knowledge through joint training activities and research, which will be aimed at enhancing the capabilities of related officials, aquaculturists and fishermen. Mr Adisorn underscored the significance of this cooperation between Thailand and Papua New Guinea, saying it will help ensure that marine animals imported from the latter have been caught in compliance with standard procedures and laws and that no smuggling is involved. Moreover, the MOU could mean that Thai operators will have a chance to resume fishing activities in Papua New Guinean waters after the country stopped giving out licenses due to the need to overhaul its fisheries management. Prime Minister Peter O’Neill says the National Executive Council has endorsed the setting up of the State negotiating team (SNT), which will lead project development deliberations with the new natural gas field development proposers this year. development of three gas fields currently under development in the country. “This follows Cabinet’s approval of the Papua New Guinea Natural Gas Policy White Paper that is intended to set in place specific policies to maximise benefits to the country by adding value to PNG’s domestic economy" he said. “The State negotiating team will be led by the Chief Secretary to Government, Isaac Lupari with the managing-director of Kumul Petroleum Holdings Ltd as the deputy team leader. “The other members of the team are the decretaries for the departments of Treasury and Petroleum, the managing-director of Mineral Resources Development Company (MRDC), the director for the Gas Projects Coordination Office and the State-Solicitor for legal advice and clearance of gas agreements. "Two (Pasca A and P’nyang) are in application for petroleum development license (APDL) while one Elke/Antelope) is fulfilling its petroleum retention license (PRL) conditions in preparation to move onto making an APDL. “The State negotiating team will prepare and enter into negotiations with each of the project development proposers and establish a gas sgreement for each of the project." O'Neill also announced the terms of reference for the State negotiating team as well as an advisory board and a rechnical working group. “The advisory body will comprise of State agency heads and will also be supported by experts in various petroleum development fields," he said. "The Government’s Gas Project Coordination office will providet he Secretariat role to the State negotiating team and to the sdvisory body as well." Minister for Environment and Conservation. “It is important that the State has the best team available to negotiate the best terms possible for our country and the best ministerial team to provide guidance and leadership to realise our national development aspirations" O'Neill said. secure potential buyers," O'Neill said. “The Government is committed to concluding negotiations with the developers and I wish to encourage the developers to working closely with the State negotiating team so the three natural gas projects can be developed to bring benefit to the developers, financiers, land owners and the country as a whole. “I have every confidence in the State negotiating team which is made up of senior and well experienced public servants to deliver the project that will add value to the economy and the country." Port Moresby: The 2017 annual PNG LNG Environmental and Social Report has been released, outlining production and Project activities from January 1 to December 31, 2017. Operations continued to safely perform at exceptional levels of reliability with facilities operating at 20 percent above the original design capacity in 2017. Safety continued to be paramount with over 10 million work hours carried out at the LNG Plant without a Lost Time Incident since the start of production. The annual report highlights the development of ExxonMobil PNG Limited’s Papua New Guinean workforce, with 80,200 training hours delivered through 2,154 courses. The report further outlines the partnerships, and environment and community initiatives formed throughout the year. ExxonMobil PNG Ltd managing-director Andrew Barry attributes the strong results achieved to the collective support and hard work of the ExxonMobil PNG workforce, co-venturers, suppliers, communities, landowners and the PNG Government. “Our team continues to deliver industry-leading production reliability while building the capacity of Papua New Guinea through programmes and partnerships that focus on education, health, community infrastructure and the environment,” Barry said. “The performance and achievements accomplished throughout 2017 are a testament to the commitment and teamwork of staff across our operating facilities. In 2017, more than K44 million was spent on community investment programmes while K2.3 billion was spent on Papua New Guinean services and landowner companies for production-related activities. Community investment activities ranged from classroom and health centre infrastructure upgrades to livelihoods improvement projects and conservation scholarships. The first royalty payments of over K15 million were also paid by the Government to 90 landowner clan accounts in the LNG Plant site area as part of the Umbrella Sharing Agreement between the State and landowners. A private sector partnership between the Australian Government, Pacific Towing PNG, Steamships Trading Company Ltd, and China Navigation Company has resulted in 10 women being selected to undertake a three-year maritime cadetship program meunder the Australia Awards Maritime Scholarship. Australian High Commissioner Bruce Davies (second from right, back row) Australian High Commission second secretary - tertiary education Fuchsia Hepworth (far left second row) Steamships managing-director Peter Langslow (back row) and Pacific Towing general-manager Neil Papenfus with maritime female awardees and representatives from the shipping companies. 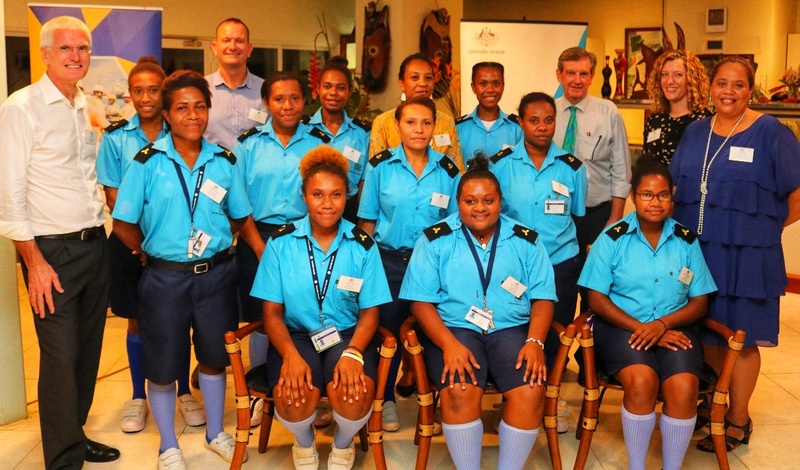 The Australia Awards Maritime Scholarship, launched on Monday, May 28 in Madang will see these 10 women undergo extensive training in either Officer of the Watch Deck or Officer of the Engine Room positions. Their training will involve a combination of study at the PNG Maritime College and 18 months working at sea on an international cargo ship belonging to China Navigation. Australian High Commissioner Bruce Davis who officiated the launch congratulated the awardees and encouraged them to see their role as a contribution to positive growth both in the industry and Papua New Guinea. “You are set to promote the great value that women mariners can contribute to the global maritime industry, and to Papua New Guinea’s own seafaring sector," he said. Davis also stressed the value of bringing more women into the maritime industry which has traditionally employed men. “Including women in a workforce brings so much to an industry: new perspectives, improved productivity and enhanced workforce culture," he said. Pacific Towing PNG general-manager Neil Papenfus said his company was happy to support an initiative that will help enhance Papua New Guinea’s maritime workforce. “As the social and cultural obstacles to women seafarers fall away and the industry looks to recruit more from this valuable group, I am glad to see the educational barriers are also being broken down so the demand for skilled female mariners can be met," he said. The maritime scholarships are a new addition to the Australia Awards in-PNG program. The launch included the signing of the Steamships-Australia Awards partnership agreement between the Australian Government and Steamships Trading Ltd to work together to improve the availability of qualified PNG mariners in the country. The Australian Government is delighted to bring Steamships into the Australia Awards program as a new private sector partner, especially in the 100th year of operations. More than 70 young women and men in Northern (Oro) Province have surrendered homemade guns, knives, ammunition, drugs and home brewing equipment to the police following a community-driven crime prevention initiative. The surrender of weapons at Marimari Settlement, Popondetta Urban. People at risk of becoming involved in crimes including armed robbery, drug trafficking, burglary and petty theft were among the 72 who handed in 25 weapons including homemade guns as well as knives, significant quantities of drugs and home brewing gear in aseries of surrender ceremonies within Popondetta recently. The weapons, drugs and equipment were collected by police for disposal and destruction. 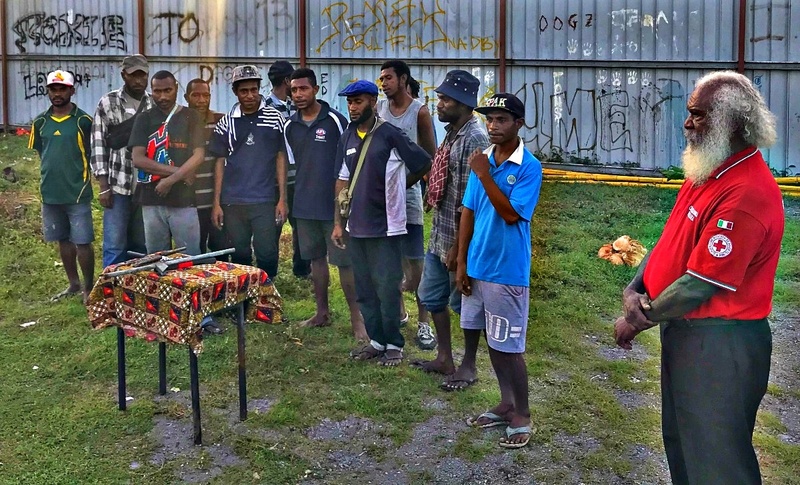 The community-initiated surrender ceremonies were held at the Simbu, Niugini, and Marimari Street settlements in Popondetta and the Soputa Settlement in Oro Bay. The ceremonies followed work to promote drug and alcohol awareness and strengthen partnerships and networks within the local law and justice sector and in the broader community. Pastor Silas Eriba, a volunteer juvenile justice worker involved in the ceremonies, said the ceremonies were a sign of the success of local initiatives to combat crime and promote safer communities. “Since we began raising awareness on law and justice issues with the support of the JSS4D [Justice Services and Stability for Development] we are seeing changes within the communities,” Pastor Eriba commented. This initiative was supported by the Australian government through the Justice Services and Stability for Development Program. Port Moresby, May 28, 2018 – Another bus was added to the fleet of MeriSeif buses bringing the total to four. This bus will serve 4-Mile TST,5-Mile, 6-Mile, Saraga, New Taurama Road, Vada Vada, Manu, Mahuru village, Sabama, Joyce Bay, Kaugere, Badili, 2-Mile, Murray Barracks and back to 4-Mile. The Meri Seif buses not only provide safe transport but also serve as a platform for awareness raising and networking among women about the issues such as livelihood opportunities and violence against women. The ceremony was attended by representatives of Ginigoada Foundation NCDC Governors office, 6-Mile community leaders, UN Women and members of the public. Speaking at the occasion, Adekemi Ndieli said: “Women’s safety and mobility is linked with their economic and social empowerment as well as prosperous cities. "I am very glad to see that the safe buses are benefitting women and children. Chairman of Ginigoada Foundation and CEO of Port Moresby Chamber of Commerce David Conn challenged the Saraga community to take good care of the bus which will assist their women and girls travel safely. 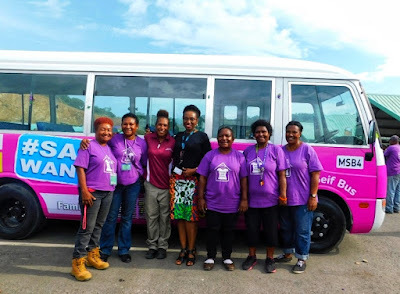 UN Women, in partnership with Ginigoada, is implementing the Safe Public Transport Programme with funding support from the Australian Government. This service is aimed at providing reliable and affordable public transport that enables women and children to move freely and safely around Port Moresby. Women in PNG are 35 times more likely to die during pregnancy than women in Australia, according to an evaluation of maternal health by the aid agency ChildFund Australia. Despite laws and programs to encourage supervised births, only 40 per cent of women in PNG gave birth at a health facility with a specialised birth attendant in 2016 down from 44 per cent in 2012. In some regions the share was just 21 per cent. And when women do manage to reach a rural clinic for the birth of a child they often find these facilities unstaffed or without electricity, running water, or essential medication and equipment. The report also draws attention to the threat of gender-based violence in PNG - surveys have shown a high proportion of women there have been beaten during pregnancy. 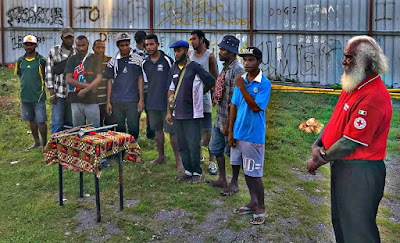 “PNG is a dangerous place for pregnant women and their newborns, not only because of widespread poverty but because of the extremely high incidence of domestic violence,” it said. A separate government review of PNG’s national health plan published last year found the health sector had an “overall decline in performance over the last five years”. "It remains an unrecognised crisis that maternal health in PNG is at such a low point," he said. "No woman should die giving birth. Yet in a country just 160 kilometres north of Australia, women are losing their lives every day during childbirth due to unsafe conditions and causes that are completely preventable." Mr Spence said greater support needs to reach the local and village level, where most women in PNG give birth. "The loss of life is at an appalling level," he said. ChildFund's report, called National Health Crisis: Maternal Deaths in Papua New Guinea, says the lifetime risk of dying during childbirth is 1 in 120 in PNG compared to 1 in 8700 in Australia. Also, a newborn in PNG is 10 times more likely to die in the first month of life than an Australian newborn. PNG is the largest recipient of Australian overseas aid and improving the health system has been a key aim of that support. Even though this month’s federal budget revealed a $141 million cut to the overseas aid budget over the next four years, Australia’s contribution to PNG will increase from $541 million this financial year to $572 million in 2018-19. Mr Spence said past aid spending by both governments and non-government organisations in PNG had "not always had the achieved the desired results". But he said Australia has the means and the technology to do much more. "This is our nearest neighbour and by any measure it’s an injustice that women not far from our shores are experiencing such risk when they are giving birth." Well-known writer, book publisher and speaker Tiri Kuimbakul is organising the Book Publishing Seminar, which was deferred from last year. It will be held on Saturday, June 9, at the IEPNG/PNGHRI Building at Gordons. 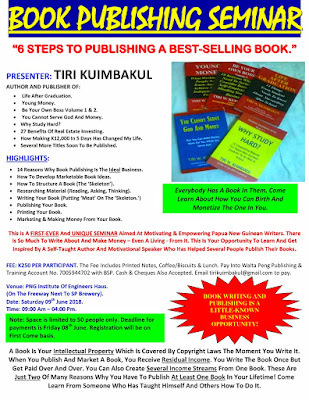 Everyone, including aspiring writers, are welcome to attend. PORT MORESBY, Papua New Guinea, May 28 (Xinhua) -- Preparations are well underway in Papua New Guinea (PNG) for the 2018 Asia-Pacific Economic Cooperation (APEC) Economic Leaders' Meeting, according to an official with the APEC PNG authority. Christopher Hawkins, chief executive officer of the APEC PNG authority, told Xinhua recently that all buildings are well and truly on track, and "We will take possession of APEC House next month, that's where the leaders will be meeting." "Other hotels or the convention centre are already established, but we are awaiting refurbishment at one or two more venues, but we will take possession of those ready for APEC in just a couple of months." According to Hawkins, he and his team have also come up with some creative strategies to accommodate the travelling delegates and make sure the event runs smoothly. "We do have a shortage of hotel rooms," he said. "So what we have done is hire three cruise ships which are essentially floating hotels, to make up the shortfall." Hawkins said they are now more determined than ever to showcase the spirit and resolve of the proud South Pacific nation. "There is no doubt that PNG are a very resilient people and the recent tragedy has demonstrated that," he said, referring to the devastating 7.5 magnitude tremor back in February, along with a relentless series of aftershocks that followed, which have reportedly killed over 150 people in the mountainous central region. With PNG riding a wave of economic success in recent years, Hawkins believes that APEC is the perfect platform to let the rest of the world learn more about the nation and its rich cultural history. "There are a lot of people who don't know much at all about PNG," he explained. "But there has been dramatic change taking place here and it has been 15 years of positive economic growth, despite the global financial crisis and the massive downfall in commodity prices." The 2018 APEC summit will be held in November. The 2018 summit will be the first to be hosted by PNG. 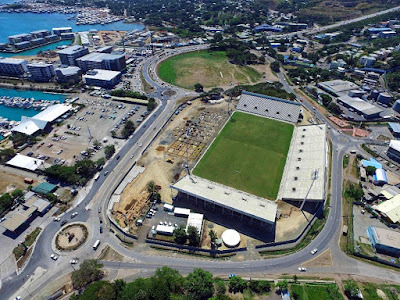 National Capital District Commision City Manager Bernard Kipit has confirmed financing arrangement for the construction of the K40 million Sir Hubert Murray Stadium. This is through part sale of the Sea Park land for K35 million, while the shortfall of K5 million will be met through Bank South Pacific financing. Kipit said: "We have to be innovative in delivering much-needed infrastructure for the city, and particularly the incomplete stadium at the city centre. "NCDC took over the incomplete Stadium and the contract with Curtain Bros, and executed new terms to resume the stadium construction at the cost of K40 million. "This will see the completion of the stadium with the fully fitted western grand stand, car parking, fencing and other ancillary works to enable the stadium to be fully operational." The buyer of the Sea Park land, Sea Park Development Ltd, owned by an Australian-based Chinese businessman Wilson Xue, will be required to invest at least K500 million under a covenant to transform the area. This is required to protect the investment around Ela Beach and APEC Haus to convert the area as APEC Legacy precinct. Pipit confirmed that the buyer had already made a deposit of K7 million to seal the deal in addition to paying stamp duty of K1.75 million. Kipit said: "The second part of the sea park land that houses APEC Haus will remain owned by NCDC. "Although we lost 4.19ha of the land for the stadium, NCDC is getting compensated with ownership of a new land in the water front known as Portion 2848, and in the process of securing ownership of another two parcels of land on the water front that will see NCDC’s stake increasing by about eightfold. "NCDC will soon unveil the plan for the second phase of Ela beach and how it intends to deliver the plan. "We will announce it when the title is received. 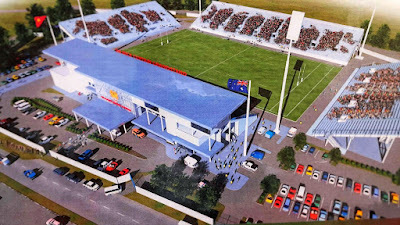 "Stadium will be delivered fully completed before APEC." Pipit assured city residents: "Ela Beach precinct will be the master piece of infrastructure in our thrust of modernising the Port Moresby, and will be a hub for recreational and social activities and create true city vibe, day and night. Four persons, including a policeman, have been arrested over another attempt to bribe police investigator Apollos Terry with K100,000 in cash. Gordons Minor Crimes Unit officer-in-charge Apollos Terry with the K100,000 cash bribe during the briefing with Police Commissioner Gari Baki today. On the right of the picture is the K6500 cash found on a policeman. Terry, the officer-in-charge of the Gordon Minor Crimes Unit, is currently heading an investigation into suspected human trafficking, uttering of Government documents and other related transnational crimes including suspected visa and passport racketeering. Early this month, a Chinese national, Zhiyuan Cui, also known as Aaron, of Shandon Province, was arrested and charged when he tried to bribe Terry with K10,000 in cash. Aaron is the managing-director of A & D Consultancy Ltd, a PNG-registered passport and visa agent. 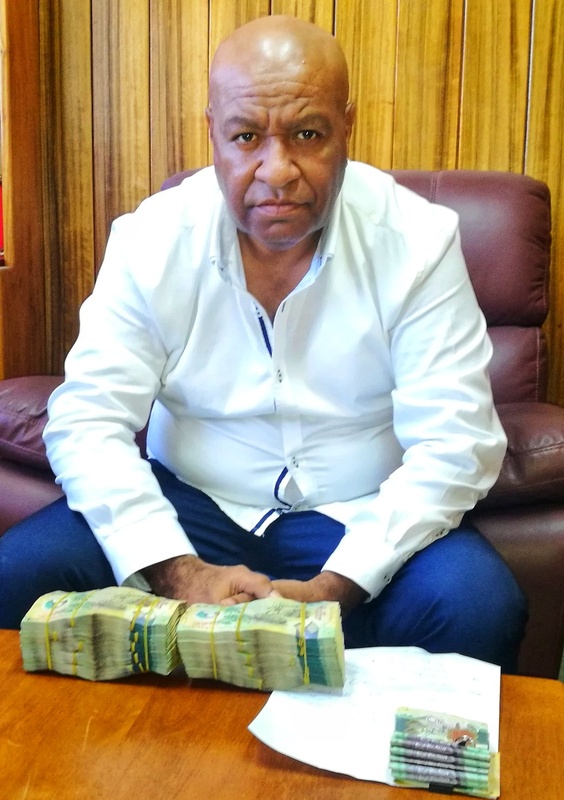 In this latest bribery attempt, a man from Central allegedly gave Terry the K100,000 all in K100 notes and allegedly asked him to drop the case against Aaron Cui. Apollos restrained the Central man and told him to call the person who gave him the money and arrange for a meeting. The person (named) came and was in the company of Aaron Cui. All have been detained and are currently being interviewed and are expected to be charged soon. During the interview, the suspects alleged that two police detectives (named) had solicited K50,000 in cash from them to help stop the case. They were given K50,000 last week. Apollos' team arrested one of the policeman who denied the allegation. He had K500 in his pocket. 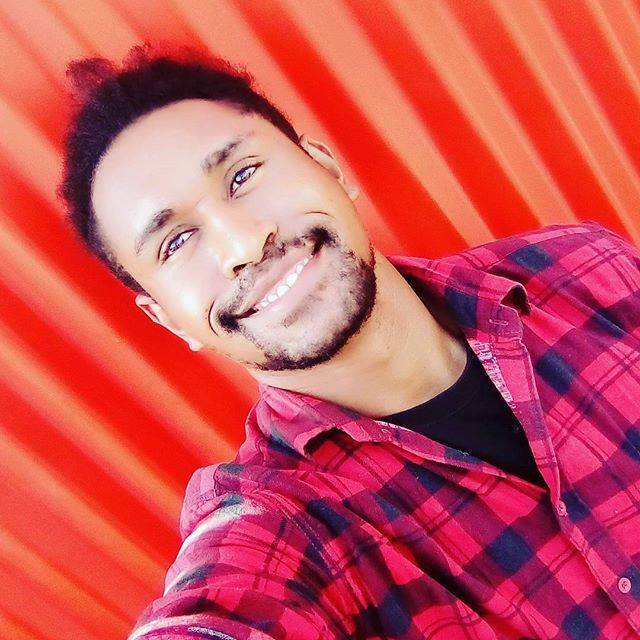 He was locked up at the Boroko cells and K6000 cash was found at his residence at the Bagita Police Barracks in Port Moresby during a search. PORT MORESBY — Trade ministers from the 21-member Asia-Pacific Economic Cooperation forum wrapped up a two-day meeting in Papua New Guinea’s capital on Saturday, but did not include language critical of protectionism in their joint statement. Disagreements on trade policy ultimately led the language to be omitted from the joint statement, which requires unanimous approval. A “commitment to fight against protectionist measures” was instead included in the chairman’s statement, which reflects majority opinion among the member states. In the joint statement, the trade ministers said they “urgently call for the removal of market-distorting subsidies” by governments and related entities, but did not refer to opposition to protectionism. In response, Papua New Guinea Foreign Affairs and Trade Minister Rimbink Pato, who chaired the meeting, offered a compromise reflecting the two countries’ stances in which the wording would be omitted from the joint statement but included in the chairman’s statement. The United States has imposed restrictions on steel and aluminum imports, while China has countered with tariffs on U.S. products. As part of an ongoing trade dialogue, the United States has held off on imposing tariffs in response to China’s infringement of intellectual property rights, but friction persists between the two countries. Japan and other countries targeted by the U.S. steel restrictions have called for a level-headed response to the move in line with WTO procedures. At the meeting, China’s Vice Minister of Commerce Wang Shouwen criticised the United States, saying that China has upheld the WTO’s authority and opposes protectionism and unilateralism. The United States in turn defended the legitimacy of its trade policies. State Minister of Economy, Trade and Industry Kosaburo Nishime, who represented Japan at the meeting, said, “Amid the difficult realities facing the global economy, there have been market-distorting measures,” implicitly criticising the Chinese government’s excessive subsidies and preferential treatment of state companies. Should U.S.-China trade friction grow more severe, other countries could be affected by a contraction in trade. The United States is considering new tariffs on automobile imports for national security reasons, prompting concerns over the impact of such a move on global trade. However, the APEC trade ministers’ meeting did not produce effective countermeasures. At last year’s trade ministers’ meeting, only a chairman’s statement was issued due to U.S. objections to wording in the joint statement. Port Moresby, May 25, 2018 – UN representatives visited earthquake affected communities in Hela, Southern Highlands and Western provinces from May 22-23 to see, first-hand, the impact of the earthquake and UN response activities in the field. 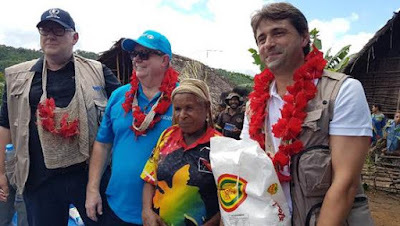 Gianluca Rampolla, UN Resident Coordinator in PNG along with David Mcloughlin, Country Representative, UNICEF PNG and Robert Dekker, Emergency Coordinator, UN World Food Programme (WFP) met with communities in some of the most severely-affected communities to talk about their needs and also distributed food and other relief items. “Our houses were bagarap (damaged) during the big quake and food gardens were destroyed by landslides. All the adults and children including my son were very afraid that the ground would fall away”, recounted Robin Dern a village spokesperson in Huya, Hela. Concluding on his visit, Rampolla said: “I would like to express my solidarity with the affected communities. 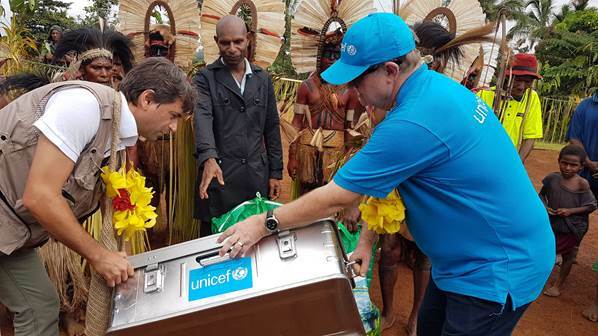 I am happy and humbled to see that the UN has been able to reach out and help people at this time of need. I am deeply inspired by the resilience of the people and their resolve to rebuild their lives in such challenging circumstances.” He further said: “I would also like to sincerely thank Oil Search for their tremendous relief efforts and excellent support to the UN’s humanitarian work”. The earthquake that hit PNG on February 26, destroyed livelihoods and infrastructure and affected 270,000 people. The UN, in close coordination with the Government, humanitarian community and private sector, launched a humanitarian response in March 2018 to meet the immediate needs of the most affected communities in Hela, Southern Highlands and Western provinces. So far, the UN has reached more than 21,990 people with food assistance, 27,000 people with clean water and 2,930 people with shelter and non-food items. Air operations led by WFP has enabled United Nations agencies to reach remote communities with critical humanitarian assistance despite the logistics and security challenges involved in road transport. 2,600 children benefitted from the safe temporary learning spaces, 8,362 children were immunised for measles/rubella and 5,800 children were screened for severe acute malnutrition. 600 women were provided dignity kits. The UN continues to support the PNG Government with humanitarian and logistics coordination for the earthquake response, working closely with the National Disaster Centre and the Office of the Emergency Controller. PORT MORESBY, Papua New Guinea, May 27 (Xinhua) -- "Papua New Guinea (PNG) 's active participation in the construction of China's Belt and Road Initiative will greatly promote the economic and social development of PNG, and bring enormous opportunities for international and regional cooperation, Chinese Ambassador to PNG Xue Bing told Xinhua in an exclusive interview. With various APEC (Asia-Pacific Economic Cooperation) meetings to be held in PNG this year, the country has attracted unprecedented attention from the international community. Speaking with Xinhua on the 24th APEC Ministers Responsible for Trade Meeting on Friday, Xue said that as the largest and most populous country among South Pacific island countries with abundant natural resources and unlimited development potential, PNG is playing an increasingly important role in international and regional affairs. The Chinese people had travelled across the oceans to work and live in PNG since 200 years ago, said Xue. In recent years, the two countries have maintained close high-level exchanges and deepened political mutual trust. "China supports the economic and social development of PNG, while PNG respects China's core interests and adheres to the one-China policy," Xue said. PNG appreciates China's Belt and Road Initiative and believes that such an international public product will bring a promising prospect for global development, he said. According to Xue, PNG is carrying out a "Look-North Policy" and its core is looking to China. The South Pacific country hopes to board the Belt and Road "express train" to achieve sustainable development. In 2014, China and PNG established a strategic partnership featuring mutual respect and common development, which has charted the course of the development of bilateral relations. Two years later, the two countries signed several cooperation documents including a framework agreement on development cooperation on production capacity to bring their cooperation into the Belt and Road "express lane." And earlier this month, the Asian Infrastructure Investment Bank approved the application from PNG to join the bank, which has accelerated the pace of PNG to participate in the Belt and Road construction. "PNG is located in the vast South Pacific region as well as the southern extension strip of China's 21st Century Maritime Silk Road. There is the great potential for the two sides to expand cooperation within the Belt and Road framework," Xue said. PNG is rich in vast natural resources, including mineral reserves, forests, agricultural and fishery resources, with the fishery sea zone covering an area of 2.4 million square-km. "All of these are priority areas for the two countries to enhance industry cooperation under the Belt and Road Initiative," Xue said. He said that many Chinese companies have come to PNG for investment and development, and developing agricultural industry parks is one of the most important cooperative projects. Over these years, Chinese experts have been stationed in PNG to guide and assist local people in growing upland rice, which has achieved continuous good harvest. "I travelled to the Eastern Highlands for a harvesting ceremony this year, seeing people were so jubilant for the harvest and I was deeply moved," Xue said. Both countries are also working together to build industrial parks. For example, PNG has abundant fishery resources, and Chinese enterprises are helping PNG build ports and fish-processing plants. Xue said that Chinese enterprises pursue to give full play to their advantages in infrastructure construction and production capacity cooperation in PNG. In addition, there are also broad prospects for bilateral cooperation in the fields of education and culture. So far, China has provided more than 440 PNG students with scholarships to study in China. They have studied in different universities across China, and many of them have played an important leading role in various fields since their return to PNG. 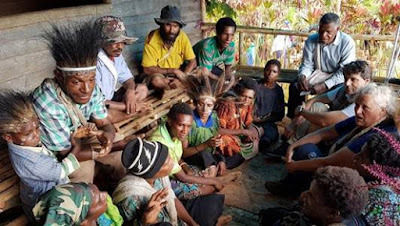 The PNG government strongly hopes for expanding this program. Besides, the national airline of PNG Air Nuigini is set to open direct flights between Port Moresby and Shanghai this year. It is expected that there will be a huge increase in people-to-people exchanges between the two countries as well as a surge in the demand for cultural exchanges and Chinese-language talents. Chinese enterprises have employed over 7,000 local employees in PNG so far and the number keeps increasing. Major PNG universities including University of Papua New Guinea and Lae University of Technology, are actively communicating with China partners in a bid to establish Confucius Institutes or open Confucius Classrooms. "With the further development of China-PNG relations and the increase in people-to-people exchanges, the friendship between our two peoples will definitely be further deepened," Xue added. Editor's note: Wang Peng is an Associate Researcher at the Chongyang Institute of Renmin University of China and the Charhar Institute. His areas of research include CPC building, Chinese foreign policy and Asia-Pacific international security. The article reflects the author’s opinion, and not necessarily the views of CGTN. Papua New Guinea Foreign Affairs and Trade Minister Rimbink Pato opened the APEC Ministers Responsible for Trade Meeting on May 25. This meeting aims to urge greater leadership in APEC to tackle uncertainty and enable more inclusive growth throughout the Asia-Pacific region. Thanks to the past decade of cooperation and development, APEC has now become the most energetic and attractive economic cooperative organidation in the world. However, along with this great and sustained development, new problems and obstacles have emerged. Taking stock of challenges across the changing landscape of global trade, the trade ministers from the APEC member economies attended the meeting in order to keep trade moving and open opportunities for people in all countries of the region. In addition, the APEC region are also convened in the midst of rising sentiments in some quarters against the multilateral trading system, rapid global warning caused by deteriorating climate change, as well as the rapid development of information and communication technology that has created a whole new dimension of international trade. New techniques, new engines of growth, and new mechanisms of trade system, are all double-edged swords. They may offer new opportunities to restart a fairer globalidation, or increase the already severe inequality among nations in the world, and hence put sand in the wheels of international trade. A major one among those problems is the rising of protectionism. As the chair of the APEC business advisory council suggested, now the APEC stands at a crossroads. 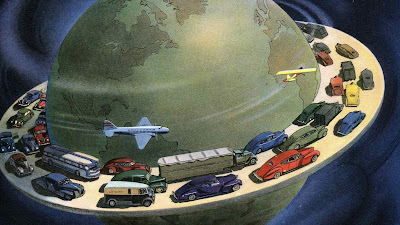 One road takes us to open markets, dynamic flows of goods, services and investment. The other takes us back to protectionism. How should APEC use its strength to stop holding back progress? Looking back on history after World War II, America and a number of international regimes, organisations, norms and institutions that were created and led by American hegemony have shaped globalisation for more than 70 years. But now, the leader, America under the administration of Donald Trump, has begun to abandon the principles, values, and institutions that it once upheld. Trump and his supporters view international trade as a zero-sum game, and instead are seeking a so called "reciprocal mode" and "favorable balance of trade". In doing so, they do not hesitate to wage a trade war against America’s economic partners, or even its allies, such as Japan, South Korea, the EU, and so forth. APEC as a multilateral framework promoting international trade is not favored by the Trump administration, which prefers the bilateral approach. Therefore, it is urgent for APEC to find or create new pillars to deepen its economic integration in this changing world. A possible answer is China’s Belt and Road Initiative. A deep cooperation between countries that favor B&R initiative within the framework of APEC may offer a key driver of global economic growth, create jobs for our people, reduce poverty and ensure that no one is left behind, as many ministers agreed at the meeting. Especially, underscoring the importance of narrowing digital divides, it is widely accepted that APEC countries have to work together to ensure that economic development is sustainable and inclusive. And in this field, the various programs of digital infrastructure buildings proposed by China’s B&R Initiative may provide the most practical aid for those economies. What is more, considering ways forward in APEC to improve regional connectivity and market integration, the B&R projects may also ease the business across borders and participate in trade by widening access and use of digital technologies. In this vein, the minister’s meeting this year has sent a strong message to the global community that all members of APEC are confident in creating and maintaining a free, non-discriminatory and all-inclusive multilateral trading system, with higher levels of necessary infrastructure buildings and fairer norms and institutions regulating the international trade among them. This will provide a great opportunity to the people of APEC countries, as well as declaring leadership on a global level. PORT MORESBY, NNC – The two-day Asia-Pacific Economic Cooperation (APEC) Trade Ministers meeting, on May 25-26, 2018 in Port Moresby, Papua New Guinea, resulted in several agreements. Among other things, the expansion of access for the participation of all levels of the Asia-Pacific community in economic and trade activities; optimisation of digital technology utilisation; internationalisation of Micro, Small and Medium Enterprises (MSMEs); strengthening connectivity across the region; and the creation of inclusive and sustainable growth. Representing the Minister of Trade of the Republic of Indonesia, Director General of International Trade Negotiations at Ministry of Trade Iman Pambagyo welcomes various APEC initiatives and emphasises the importance of inclusiveness in economic growth. "The development of internet and digital technology has greatly changed the pattern of global activity, including trade. We want all the people of Indonesia to benefit the economy as much as possible because these changes can encourage welfare equity," said Iman in a press release on Saturday. According to him, the digital economy brings opportunities as well as challenges for all APEC economies, including Indonesia. "Indonesia is well aware of today's digital-based economic phenomenon. Going forward, we do not want to fall asleep and instead will prepare a variety of policies that benefit, as well as provide certainty and security," said Iman. He added that in this case, Indonesian MSMEs and e-commerce platform plays an important role. "MSMEs represent almost 99 percent of Indonesian business people today. Through the right incentives, such as the facilitation of fast-growing e-commerce activities, our MSMEs will be able to increase their competitiveness and penetrate the global market optimally." In addition to issues on digitalization and inclusiveness, in terms of trade, APEC also continues to accelerate the pace of achieving the 2020 Bogor Goals, fostering regional economic integration and connectivity in the Asia Pacific region. The year 2020 will be an important moment for APEC. Departing from a deal 26 years ago in Bogor, APEC's big priority is to reduce various trade and investment barriers. The first phase for advanced economies has been made in 2010. Two years from now, achievements in developing economies should be able to complement APEC's success to create open and free trade and investment in Asia Pacific. PORT MORESBY, Papua New Guinea, May 26 (Xinhua) -- In a sign of unity and cooperation, 21 Asia-Pacific trade ministers released a joint statement following the conclusion of Saturday's summit. Over two days, the 24th APEC Ministers Responsible for Trade Meeting in Papua New Guinea's (PNG) capital city of Port Moresby, discussed a range of ways member economies can work together to strengthen cooperation, deepen economic integration and promote digital connectivity across the region. "As a driver of economic growth and greater regional integration, through trade and investment liberalization and facilitation, APEC continues to contribute to job creation and the improvement of living standards in the Asia Pacific," the statement said. "However, we recognise that the full benefits of trade have not reached all segments of our societies. "The widening income gap, social inequality and the need to narrow the digital divide, as well as the increasing impact of environmental degradation pose great challenges." In response, the ministers pledged to uphold the role of APEC as an "engine for sustainable economic growth and prosperity" which lays the foundations for a "shared future." With this year's APEC theme, "Harnessing Inclusive Opportunities, Embracing the Digital Future", the minister's joint statement included a total of 52 acknowledgments, much of which focused on the importance of the Internet, e-commerce and digital economy. 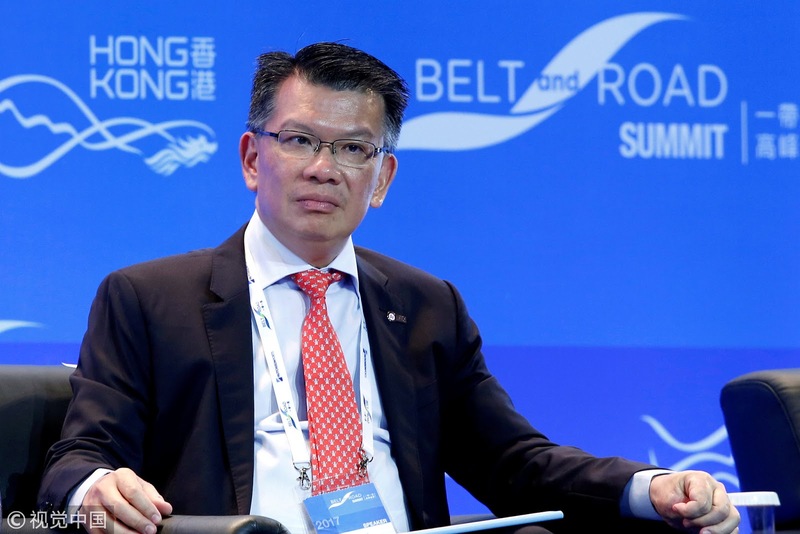 "Technology and innovation, they are changing the pace of global trade and fostering innovative and inclusive growth in the Asia-Pacific region," the statement said. "We are committed to promoting cooperation... and working together to bridge the digital divide." 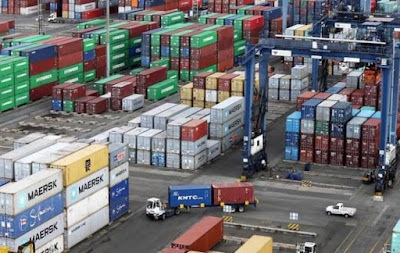 The statement also reaffirmed the need for adequate investment through public-private partnerships in order to develop "quality infrastructure," that can drive growth and improve living standards. "We encourage economies to continue joint work through policy dialogues and investment-related capacity building including community engagement to communicate the benefits of investment," the statement said. Other topics addressed by the ministers included the role of female entrepreneurs will play in future economic growth, environmental sustainability and food security. Chair of the meeting and foreign minister of PNG Rimbink Pato, accompanied the acknowledgements of the ministers with a statement of his own, expressing gratitude for the cooperation shown by delegates at the summit. "We underscore that trade liberalization and facilitation are essential for achieving sustainable global growth and remain committed to continuing APEC's leadership to promote free and open markets," Pato said. "Our commitment to keep our markets open, to fight against and to rollback protectionist and trade distorting measures, and we reaffirm our leaders' pledge to extend the standstill commitment until the end of 2020."